This is INSIDE a Grocery Store? Yes Sir! I had previously reported on my visit to Whole Foods in Plymouth Meeting during Philly Beer Week, and my joy at seeing craft beer and exotic imports in a grocery store in Pennsylvania. 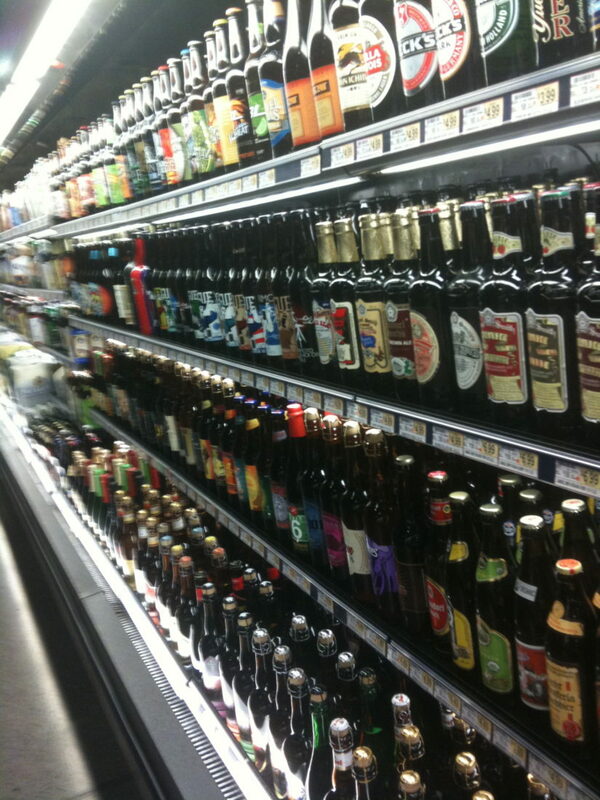 But I was not prepared for the truly wonderful beer section at the new mega-Wegman’s off Route 422 in Collegeville. Not only do they have a really great selection of craft beers and imports to go (six packs and 25 oz single bottles) – cooled and not, but the take out section is actually organized by state and country of origination. How great is that? Seriously, OK a bit much in the “Mexico” area, and they had Fin Du Monde of Quebec’s Unibroue under “Belgian” but why pick nits? I mean – great locals and then the unusual California’s, Colorado’s and funky and strange one-offs. Ever have the Brooklyn Brewing/Schneider collaboration Ultra Weiss? Neither had I, but thanks to Wegman’s I have now. OK, what tops this is the in store Pub. Unlike the small (but cute) little room at Whole Foods, this place was a REAL full sized comfy pub, with tables, big bar – 6 beers on tap and a bunch of great bottles (OK, so I got stuck on the Weyerbacher Double Simcoe – sue me!). Imagine doing as I did, happily sending your significant other to wander through the shelves of foods and what not, saying “text me when you are done” and having a great IPA and watching the flat screen. 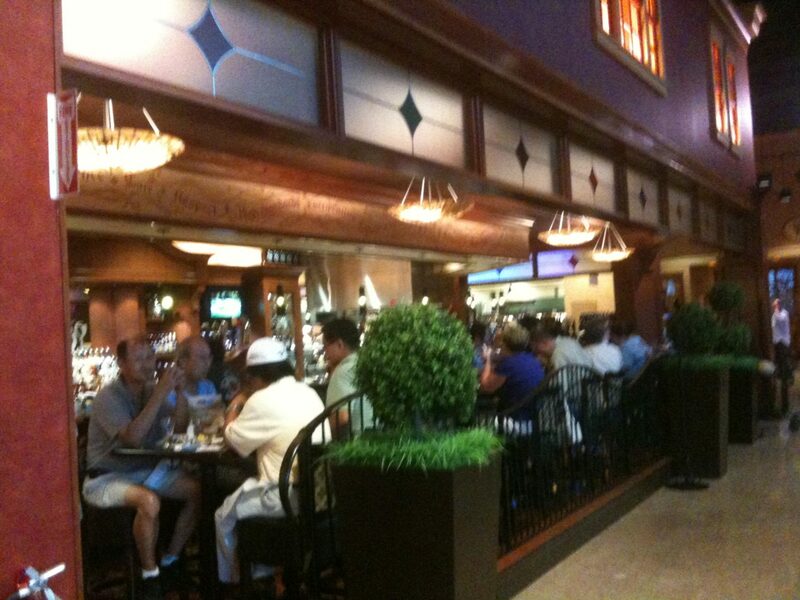 25oz Beers in the Cooler at Wegman's!